BPA has been linked to abnormal egg development in fetuses, low IVF success rates, breast cancer, breastfeeding problems and much more. Pesticides are linked to low birth weight and premature births. Lead, cadmium, mercury and other neurotoxic chemicals are linked to delayed conception, autism, ADHD, developmental problems, learning disabilities and delayed onset of walking and talking for babies. Polybrominated diphenylethers (PBDEs) are linked to liver toxicity, reduced birth weight of babies, neurodevelopmental toxicity, cancer and more. Air pollution is linked to asthma, autism, bodily inflammation, poor academic success, brain, respiratory, and digestive problems in early life, low IQ, developmental delays, slower lung growth and other serious issues. And that’s just the tip of a much larger environmental toxins problem. Researchers point out that these survey results, “Show a disconnect between environmental health research and what the physicians do – and do not – tell their patients.” Patrice Sutton, a research scientist at University of California, San Francisco’s Program on Reproductive Health and the Environment who helped design the survey notes that the goal of the study was to, “Try to break down obstacles that keep health messages from pregnant women. For instance, even though the dangers of mercury are well established, only four out of every 10 doctors said they discuss the contamination with pregnant women.” In spite of well established mercury research an estimated 300,000 newborns each year are still exposed to levels of methylmercury that exceed the guidelines that the EPA set to avoid neurological effects in fetuses and it’s likely because pregnant women are not being told about the dangers. Learn more about the most dangerous toxins and chemicals and then avoid them. Avoid most fish during pregnancy. 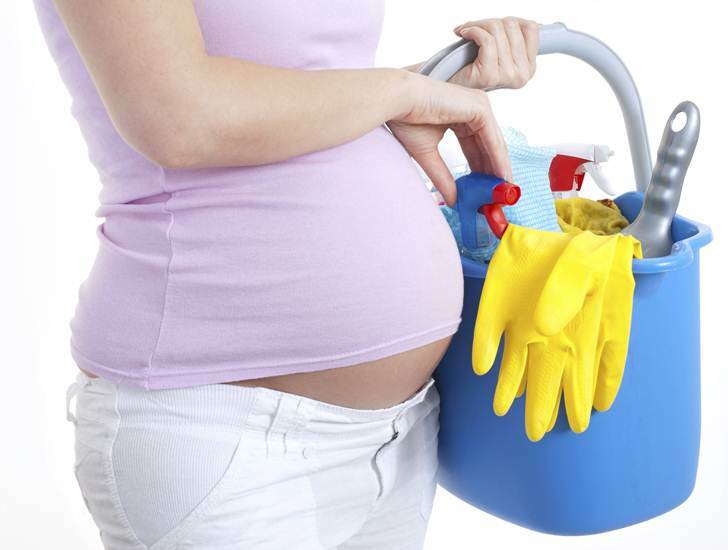 Use safe cleaning products and body care supplies before conception and during pregnancy. Avoid air pollution when possible. Eat foods that are free from flame retardants – aim for whole, not canned or overly processed foods. Read our best tips for a safe, healthy and green pregnancy.